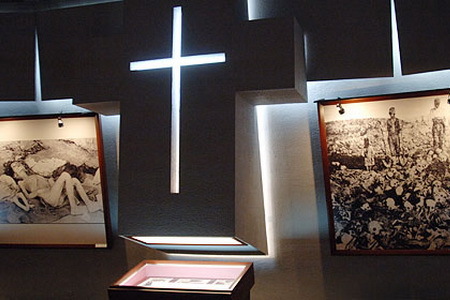 The Museum-Institute of Armenian Genocide was established in April of 1995. Its mission is to collect, research, publish, preserve and exhibit documents, photos, publications related to the Armenian Genocide perpetrated by the government in Turkey during 1915-1923. The architects of the Museum are S.Kalashian, L.Mkrtchian and S.Tarkhanian. It was built underground in the south-western corner of the platform of the Genocide Monument, bringing the Memorial site to completion. 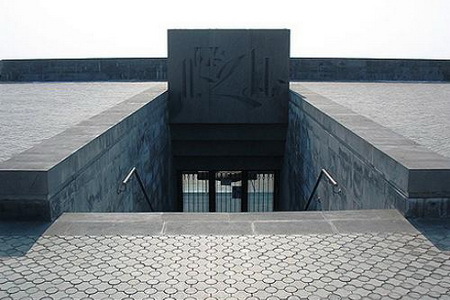 The surface of the roof-top is aligned with the platform of the Genocide Monument. The building is two-storey and circular. 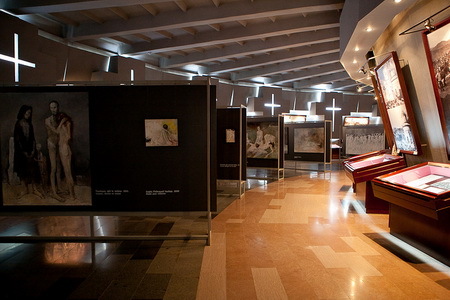 On the upper floor is an introductory hall, the Genocide display and a room with apses. These three halls are arranged in a semicircle. 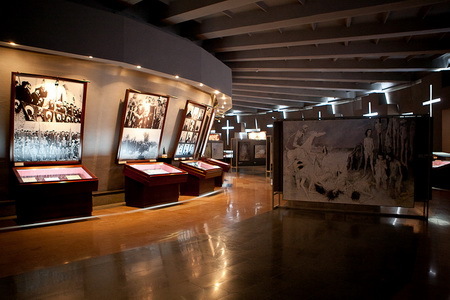 The first floor of the museum houses a library, document storage rooms, a conference hall and a scholarly research center of the history of the Armenian genocide. There are also materials issued by different international organizations and parliaments of foreign countries condemning the genocide. 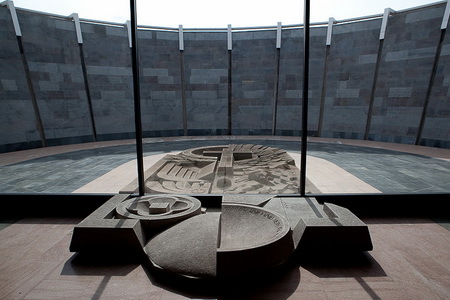 In the center of the courtyard is a large-size khachkar (designed by the architect F.Arakelian). 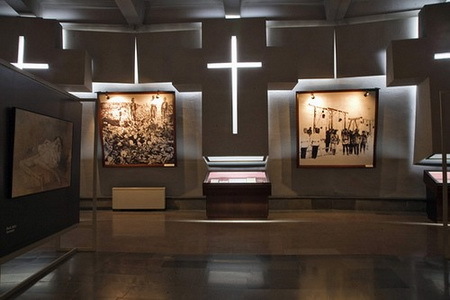 Documents, authentic photos and the Genocide victims personal effects and encased relics, illustrating the details of some of the most horrid events of the 20th century and reflect the attitude of the world public to the Armenian Genocide, are on permanent display.